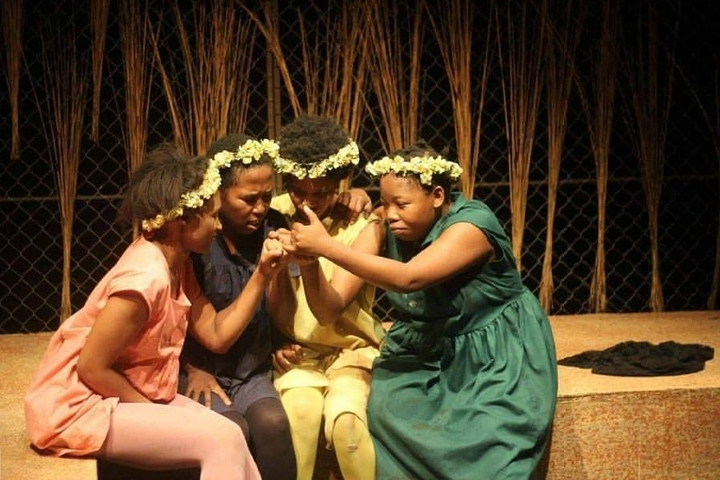 Project Mbuzeni is an Imaginate creative learning project (for P7 - S3 pupils) inspired by this year's festival show Mbuzeni by Koleka Putuma, South Africa. Schools across Edinburgh were invited to apply to be part of this exciting project to explore high quality theatre and develop their own unique creative responses. Each class will take part in a workshop led by a team of professional theatre makers and playwrights to work on parts of the script and explore the story and themes from the characters' viewpoints. 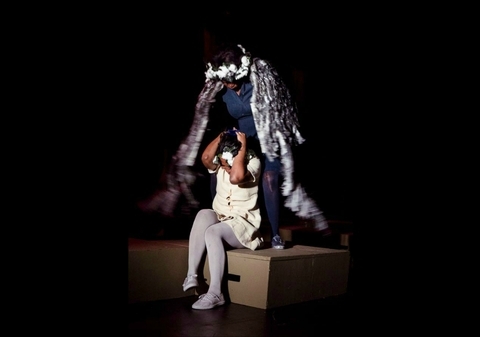 The classes will then come and see Mbuzeni as part of Edinburgh International Children's Festival with an after-show Q&A session with Koleka Putuma who wrote the script. In the final part of the project, each class will learn more about evaluating a piece of theatre in a post-show workshop facilitated by a professional theatre maker. If you would like to find out more about this project or our work with artists and schools contact Fiona Ferguson (Creative Development Director). Project Mbuzeni is kindly supported by Lorna MacDonald and the Arts & Creative Learning team at City of Edinburgh Council.